Have questions about the American Bully Breed? Get immediate answers! Just post your question below. American Bully pictured above: Mr. Rich from good money bulliez. 1.) Q: How can I tell if my dog is an American Bully? 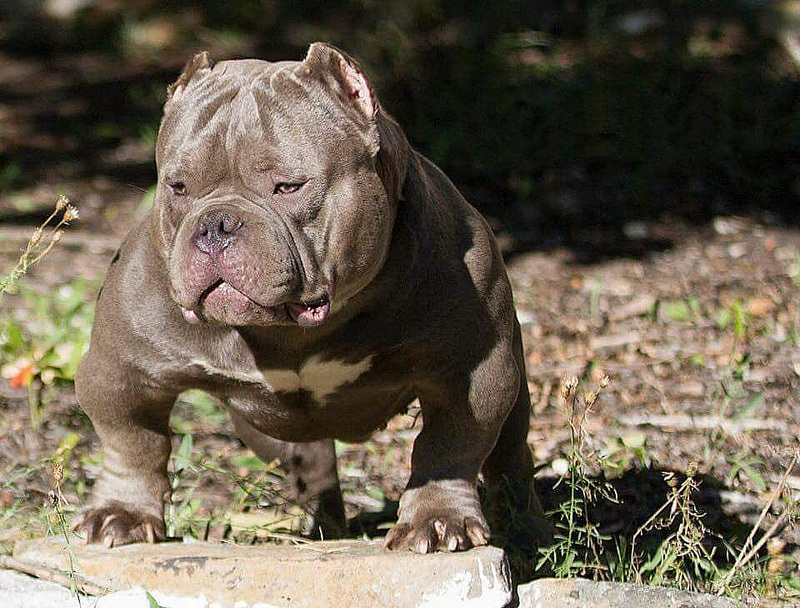 A: If you purchased your dog from a reputable American Bully breeder, there should by no confusion on wether your dog is an American Bully or not. The registration papers will show the dog’s linage. It will contain dogs from one or multiple well known American Bully Bloodlines. 2.) My dog doesn’t have registration papers, how know if it’s an American Bully? A: If your dog doesn’t have registration papers, there’s no telling what breed it is for certain. The only way you can get registration papers showing the dog’s linage is if the dog’s parents are registered. You must acquire your dog’s registration papers from the original breeder. The other option is to file an application for a single registration with the UKC. Single registrations may be used for American Bullies that are not already registered with UKC and whose parents are not both UKC registered. Please note: if you dog only has a single registration, it would not be wise to breed them. There’s no telling what breed they actually are. It’s likely the pups will sell for very little (if any) money. 3.) How much does an American Bully cost? The cost of a quality bred American Bully is in the $2000 – $3500 range. If the cost is any higher than this amount, the dog is simply over priced. There should be no justification on paying five, ten, or even fifteen thousand dollars for any breed of dog. The American Bully breed is no exception. Some of the world’s most reputable American Bully breeders sell their puppies for a reasonable price ($2,000.00 – $3,000.00). Eddie from Manmadekennels.com, Roger from west coast gottiline, Mel from Kinneman Kennels, Ed from Daxline, and Marco Suarez from Suarez Bulls kennels are all American Bully breeders that have been breeding for 20+ years. They all offer American Bullies in this price range. Ask the breeder for references. A good breeder will be more than willing to provide you with their previous customer’s contact information. Pick the puppy up in person and pay in person. This ensures you know exactly what you’re buying and there are no surprises. Let the breeder know that you want the puppy’s papers when you pick the puppy up or get it delivered. It only takes 2 weeks for a breeder to receive temporary registration papers for the pups (This is what you need to register you puppy). There should be no reason they don’t have these papers in hand when you receive the puppy. If you’re unable to pick the puppy up in person, pay with paypal or a credit card online. That way if the transaction turns out to be fraudulent, you can dispute the charge with paypal or your credit card company. Never send money through western union, money gram, or by wire transfer. No exceptions. This is the #1 way people run scams online. If they won’t take cash in person, paypal, or a credit card, do not do business with them. Ask for videos of the puppy if you’re unable to seem them in person. Photos of dogs can be easily manipulated. If you have a video, you can get a great idea on what the puppy looks like in person. Ask the breeder for the dog’s vaccination and deworming history. It’s important to provide your veterinarian with this information when you bring your puppy in for their first checkup. Ask to see both parent’s registration papers. This will allow you to verify that they are registered American Bullies. 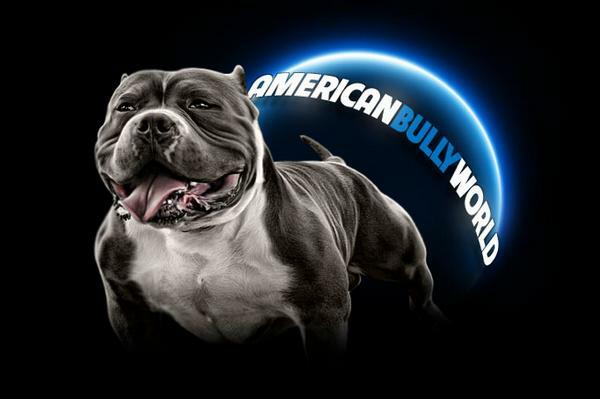 Still have questions about the American Bully? Just leave a comment below & one of our Bully Breed experts will get back to you with an answer. All of the products that we carry have been rigorously field-tested on our own personal dogs. If the product didn't meet our strict standards for quality, safety, and RESULTS, it didn't make the cut.